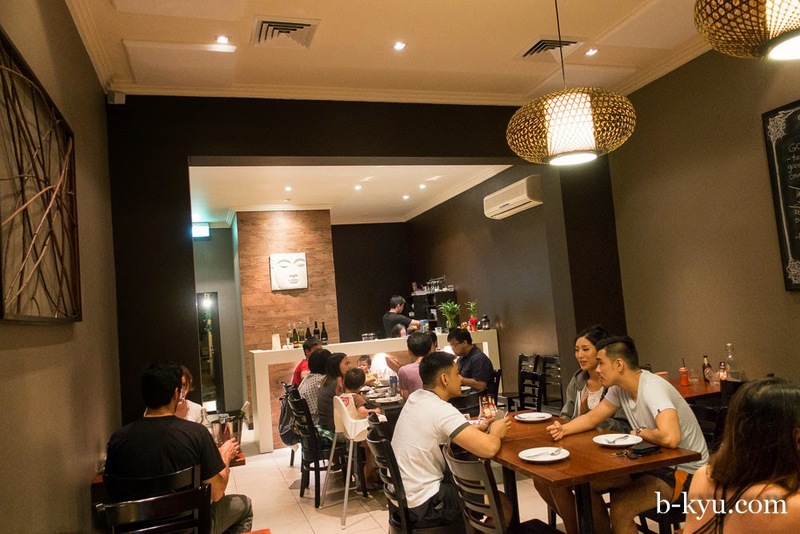 While a revision of the Illawarra Rd strip in Marrickville is attracting all the attention, Papaya Grill has been quietly serving up Lao food with an unexpected punch and bang. Papaya Grill is one of those places that looks a bit too fancy for our usual B-Kyu style eatery, but it sure delivers on the food, it's the real deal. Tucked up the top end of Illawarra Road it's easy to miss when there's so much else to tempt you. To be honest it was the lure of $5 Beer Lao that first caught our eye, some things never change. We've been here a few times with friends, we took some of these photos a while ago but the place hasn't changed much over the time, in fact it's stayed consistently good. 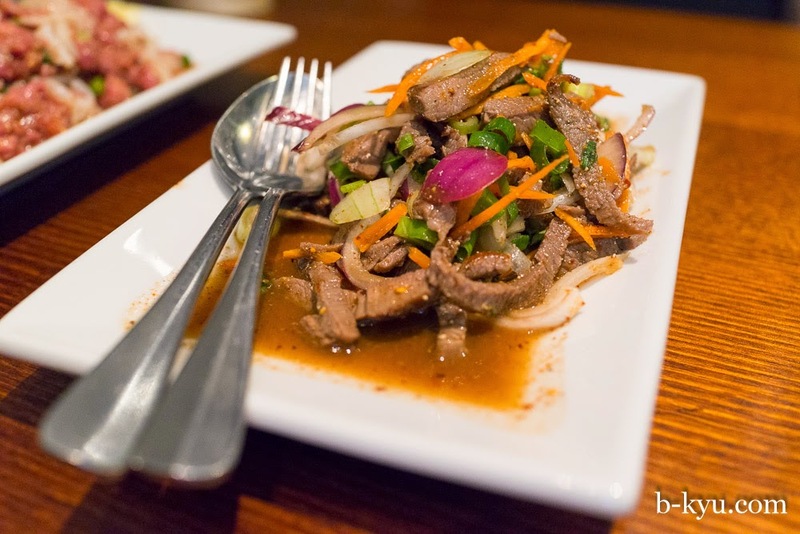 Grilled Beef Salad (Yum nam tok) $13.90. Grilled beef in small strips mixed with red onions, loads of fresh herbs and the slight crunch of roasted rice powder. 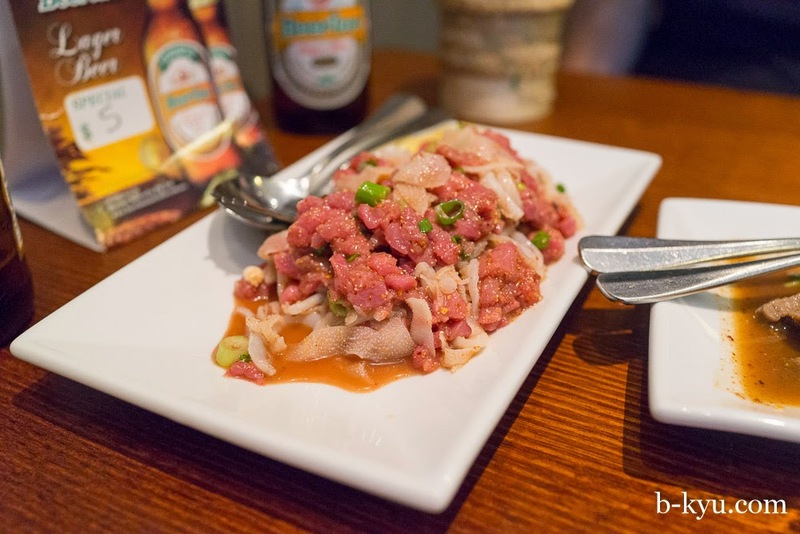 Tartare beef salad (Larb Dip) $12.90. Course cut raw beef and tripe with a hint of crunch from ground up roasted rice. Don't be put off by the tripe, it really has no strong flavour but adds a textural edge to the softer beef pieces. 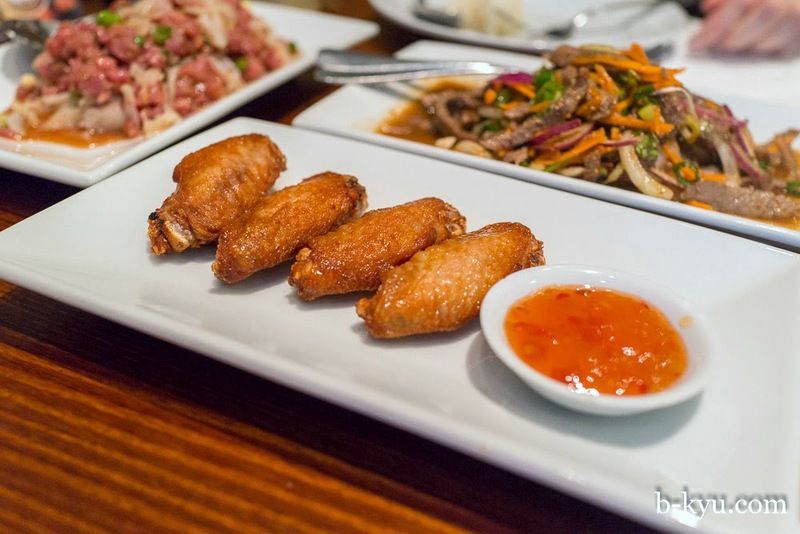 Crispy chicken wings (Pek Gai Tod) $6.90. Four crisp little wings with dipping sauce. 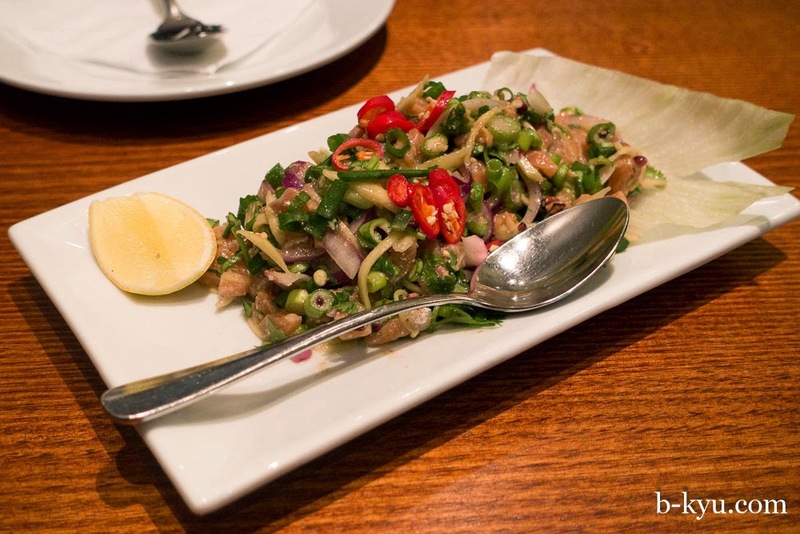 From the specials board, a raw salmon larb that packed a punch from red chillis and crunch from chopped spring onions. The salmon is slightly 'cooked' from the lemon/lime dressing. 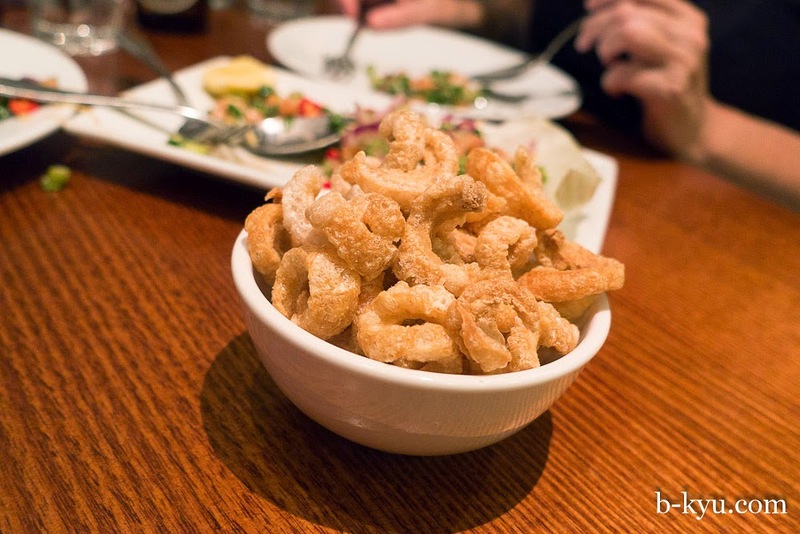 Crispy pork chips (Kiep Moo) $3.90. These go well with every single dish, shame we didn't have a chilli dip to scoop up some heat. 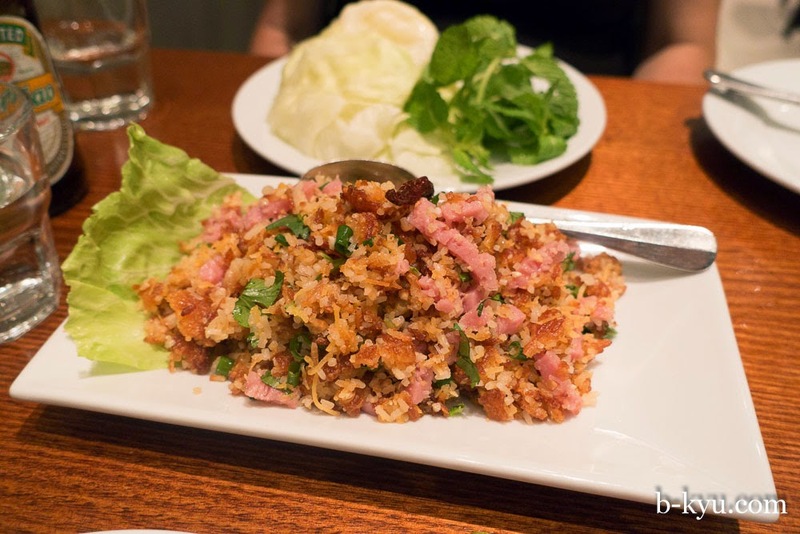 Crispy rice salad (Nam Khao) $12.90. This was our favourite, a little heart skip a beat moment. 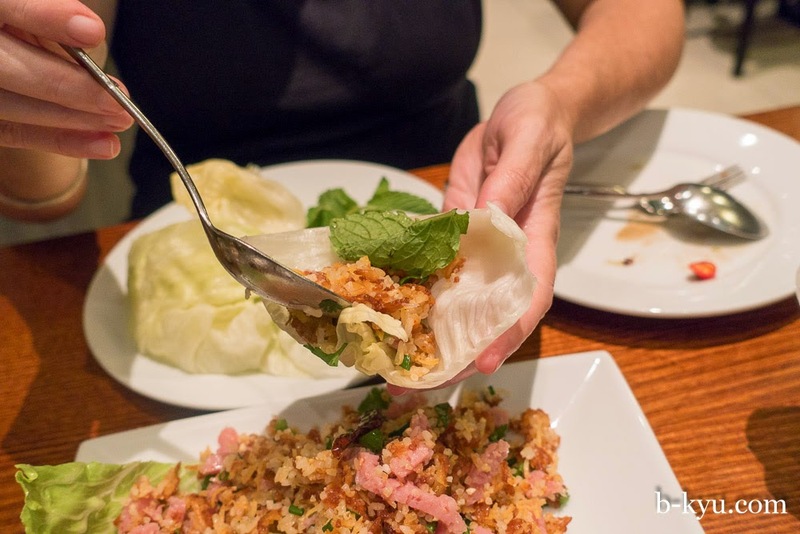 Fried rice is mixed with fermented pork, fresh herbs, peanuts and served with lettuce leaves and mint. You might think fermented pork sounds strange, but the process gives the pork a slightly sour flavour that really kicks it up a notch. The crisp rice salad is served with little lettuce cups so you can spoon in some rice, herbs then wrap and crunch. 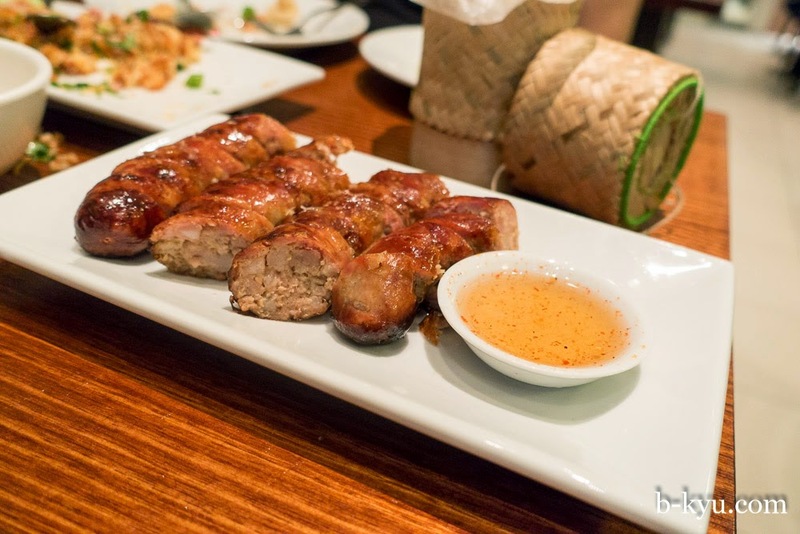 Homemade Lao pork sausages (Sai Gok) $12.90. There's a generous amount of these spicy and slightly sour sausages, we love them. Lao Khao Soi, $10.90. If you want a solo meal or a lighter lunch there's a few soups on the menu to try. This khao soi has none of the thick curry sauce of its more well known Chiang Mai counterpart, it's more of a broth flavoured with tomato and chilli with floating bits of pork mince. 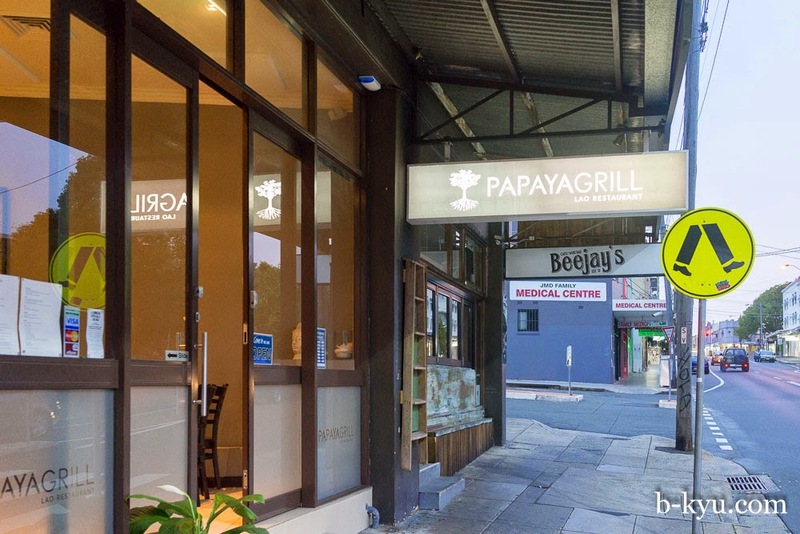 Papaya Grill is at 393 Illawarra Road, Marrickville. Ph: 8068 0418. This place is amazing. The sausage and crispy rice are superb. I agree it's like a street food experience but in an unusually clean nice setting. ditto - they've really created something special in this place.